The freight train of cannabis legalisation never ceases in its endless pursuit, and whilst we may have been relaxing over the Christmas period, the fight to end prohibition certainly hasn’t. Here is the latest news to reach our ears. 2014 was a momentous year for the cannabis legalisation movement. It saw a significant shift in public opinion, and hailed sweeping policy changes across the US and many other locations across the globe. In a surprising move, the well-known and widely read French newspaper, Le Monde, released an editorial article announcing the paper’s support for the legalisation of cannabis in France. The move is seen as a very significant development if the French fight for legalisation, and is hoped to have similar effects to when The New York Times and The Oregonian announced their support for legal weed in the US – using the paper’s widespread influence to educate on the true nature of cannabis. The article comes on the heels of the Ministry of Health’s recent decision to approve Sativex, a cannabis based medicine. When you consider that it is estimated that 45% of French citizens aged 15-34 regularly use cannabis, such a move by a newspaper could be the spark France needs to make other profound moves in the fight. The title says it all really. The country that was once plagued my cartel activity, and was a frontline for the US led War on Drugs has voted in favour of a legislative project that will see cannabis legalised for medical use. It is a move that was support by the vast majority of political representatives from all over the political spectrum, and a landmark victory for the country – because let’s face it, whilst legalised recreation weed is great, and can certainly help society, securing access of weed for those who need it is really what it is about. Bermuda, a British Overseas Territory, has voted in favour of making three cannabis based drugs available for medical users. What makes this recent development even better is that some politicians involved in the vote do not feel that it went far enough, indicating there could be future cannabis related developments in store. Thanks to the mounting body of research into the medical value of CBD, and the hard work of pro-cannabis campaigners. Brazil is considering making this non-psychoactive, but highly beneficial compound found within cannabis available to medical patients. Although it is not as great as fully legalising cannabis for medical purposes, it is certainly a step in the right direction in the fight to get medical users what they need. Like many Central and Southern American countries, Mexico has seen first-hand the failures of the War on Drugs. Although the official federal stance is against legalisation, local governments are now beginning to look into ways they can change the way they deal with drug policy. This, it turns out, is largely thanks to public opinion. After a recently held public consultation, the state of Jalisco found there was an overwhelming support for medical marijuana, and is now looking at ways it can implement such policies state-wide. It just goes to show that whilst politicians may be against the legalisation of cannabis, the people certainly are not. Recent legislation to decriminalise the possession of pot became law over the Christmas period for the residents of the US Virgin Islands, an insular area of the United States. Under the new law, possession of marijuana is classed as a civil offence, with anyone over the age of 18 being issued a $100 fine, and anyone under the age being referred to an educational programme. The legislation had previously been vetoed by the island’s president, but was overruled by a 14-0 senate vote. A draft proposal has been released in New York aiming to better regulate medical cannabis. Under the new regulations, physicians must register with the Department of health before being able to prescribe cannabis, as do those who wish to grow and distribute it. The proposal also allows medical users to designate a caregiver to obtain the marijuana in their place, and allows the Department of Health Commissioner to decide which forms of cannabis administration will be legal – with smoking set to be outlawed. Although some will find this restrictive, regulation is good, as it allows government to see that cannabis can be safely controlled, as well as become a benefit to society. 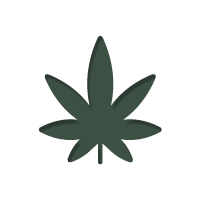 It also lets the government, dispensaries and users all know where they stand in relation to each other. Let’s just hope that it is not oppression under the guise of regulation. It’s not all good news unfortunately. A proposal that would have seen the return of legal medical marijuana dispensaries and marijuana edibles to Michigan was pulled from a State Senate hearing before it reached the vote. According to State Representative Mike Callton, he decided to pull the bill before it could be killed off in a vote. Although this may be disheartening, Callton has medical marijuana’s best interests at heart. In a statement, Callton outlined how the Michigan Sheriff’s Association had all of its sheriffs call up their senators to protest the bill, losing it votes, and making look like it was very unlikely to pass. Callton plans to work with representatives of the policing association to amend the bill and address their concerns, whilst still giving medical users the access they need. Until an agreement is reached, the bill is unlikely to pass.